The corporate regulator has imposed additional licence conditions on the Sydney Stock Exchange and outlined a number of changes that need to be made. ASIC has released an assessment report into the Sydney Stock Exchange’s (SSX) listing standards based on research and analysis conducted between 1 July 2013 and 2 June 2016. The report found that “a number of changes” need to be made by the exchange. “These changes include putting adequate arrangements in place to manage conflicts between its commercial interests and the need for it to operate a listing market that is fair, orderly and transparent,” ASIC said. 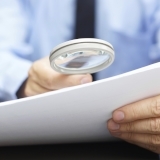 ASIC’s report found several “material concerns” in the processes the SSX used to manage conflicts of interest, and imposed a number of licence conditions to ensure independent directors formed a majority of the board, an independent person conduct an annual review of the market, and ensure the listings committee is comprised of qualified, independent persons. SSX chief executive Tony Sacre said the new conditions would not affect companies listed on the exchange. “Investors and listed companies aren’t impacted at all by these additional licensing conditions – they merely pertain to our own internal corporate governance,” he said. Mr Sacre said the exchange had been working alongside the regulator to “ensure that any real or perceived conflicts are mitigated” and was “comfortable” with the result.